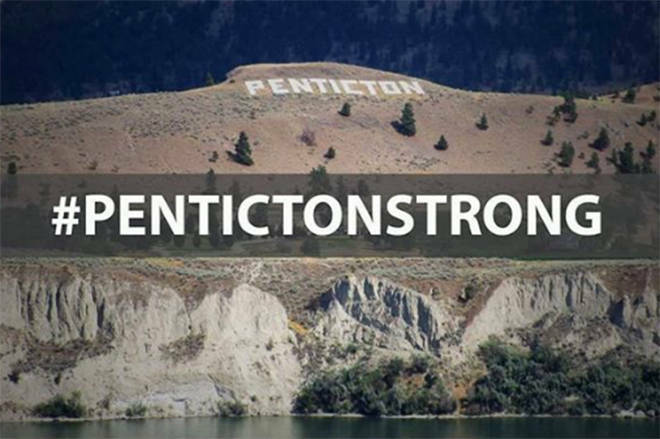 Those looking to usher in 2016 with a party will have no shortage of places to turn in Penticton. Dec. 30, 2015 6:00 a.m. The Penticton Lakeside Resort will be hosting their annual fireworks over Okanagan Lake at midnight. The Lakeside Resort’s grand ballroom is hosting a deluxe dinner buffet, DJ entertainment, a midnight toast with champagne and guest receive party favours. Tickets are $55 per person and are available online at www.pentictonlakesideresort.com or at the Lakeside front desk. A few steps away, the Barking Parrot is hosting their annual New Year’s Eve bash with no cover charge featuring DJ Mike O’Mara, party favours, a champagne toast and a good view of the fireworks. The Elite is hosting a Clockwork Orange-themed party with live music by Jakov and the Jills, dance music by DJ KiKi Lee and a dance performance by Forbidden Fruit Penticton. Cocktail attire is encouraged. Pre-sale prices are $25 a ticket which are available at the Elite or at Tiger Alley and tickets are $30 at the door. The party starts at 8 p.m. The Elite also has all-day breakfast for those looking for their first meal of 2016 on Jan. 1. The Mule Nightclub is featuring DJ Fun Phil who will be spinning tunes for partygoers. Doors open at 8 p.m. Mule co-owner Bill Prozrick said tickets are nearly sold out, however there will be tickets available at the door. Tickets are $15 and get you entry, party favours and treats for midnight. Pappa’s Firehall Bistro in Oliver is hosting a New Year’s Eve Blowout with live music by Montoya. The show starts at 8 p.m. and tickets are $15 each or two for $25 and include champagne at midnight. Kelowna band Blue City Trio will be ringing in the new year at Tug’s Taphouse where there will be no cover, champagne for all at midnight and unique food and drink specials. The Legion will be dropping the ball twice on New Year’s Eve. The Legion will be celebrating the new year at 10 p.m. for those who want to turn in early and midnight for those staying out late. Blues band Pure Twang is providing the entertainment and a chicken and ribs dinner will be hosted at 6:30 p.m.
Tickets are $25 each or two for $45 and are available at the door, or at the Legion beforehand. Those looking for a nice, quiet New Year’s meal can head to the Barley Mill Pub where they will be hosting a three-course candlelit dinner, prime rib au jus or halibut béarnaise followed by live music with Boom Chicken at 9 p.m.
Tickets must be purchased in advance at the pub on 2460 Skaha Lake Rd. or by calling 250-493-8000. Apex Mountain Resort will be hosting fireworks and a bonfire while skiers and snowboarders count down to 2016. Fireworks will go off at 6 p.m. and again at midnight. The Gunbarrel Saloon will be hosting a party with indie folk band Tiger Moon playing throughout the night. Tickets are $40 and are available at the Gunbarrel Saloon. Heading into the new year Apex is hosting a rail jam competition sponsored by Freeride Boardshop and Pentagon boardshop and will be held on Jan. 2 with a $5 entry. Prizes include snowboarding/skiing gear that will be given out to contestants and this year rails will be set up in front of the Gunbarrel Saloon so those grabbing a drink can check out some cool tricks as well. New Year’s Eve will also see extra RCMP patrols in case the party gets out of hand including members attending at Apex.